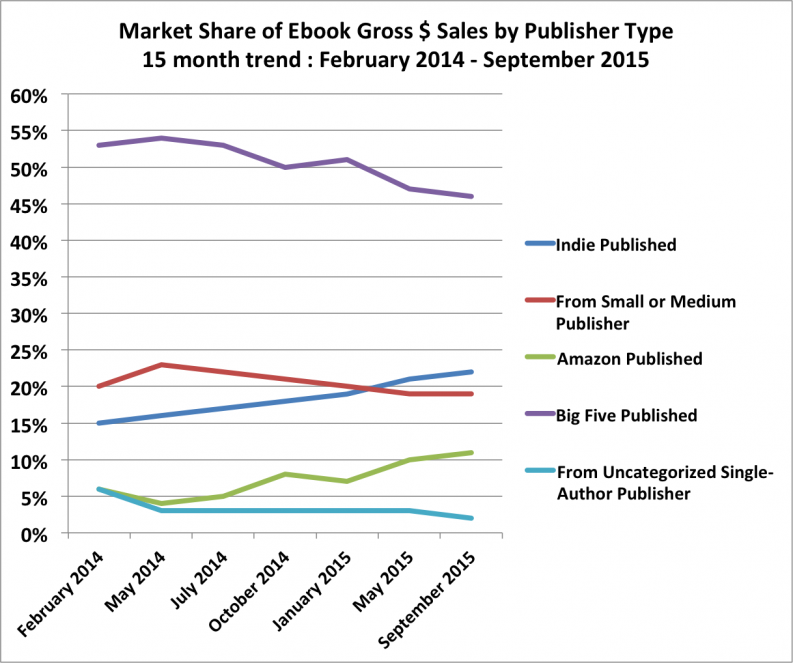 If publishers hope to grow ebook sales, they must find ways to innovate in actionable, tangible ways that will increase sales, argues Sol Rosenberg. That makes three of big five reporting declining ebooks sales. Is this news? Unfortunately, not so much. The stats and press articles have been reporting this neo-dramatic death march for far too long. Prima facie, it makes little sense. While everybody and his brother has been getting a smartphone (68% according to Pew Research) and 2.6 billion (with a ‘b’) smartphones globally, while many people are juggling several devices and Pew says 45% of the population has a tablet, we have been nursing a flat (and now declining) ebook market for several years. Once thought destined to reach 50% or 80% of all book buying and reading in the U.S., ebooks have stalled out on their way up to higher altitude.. the share of all new ebooks sold — both in units and dollars — has been flat at about 30% and just under 15%, respectively. Then of course we come back to the two headlines this past week. What do the CEOs of these companies say? Reading their comments are an ode to PC-esque PR mamby-pandyness. In a conference call discussing the quarterly results, News chief executive Robert Thomson said the company is “watching closely” the softening ebook sales trend in the U.S.
Really? So the answer is “Let’s keep doing the same thing” and the market will magically reverse and grow? So – why is the market declining? Why aren’t we even moving the needle a bit? The number of devices keep rising dramatically, people are spending many hours on their devices — and even reading (Remember the WSJ Article on the “Rise of Phone Reading” ) yet ebooks are declining? So far in 2015, the AAP’s reports have charted a progressive decline in both ebook sales and overall revenue for the AAP’s member publishers. Perhaps we are left with more questions than answers. But one thing is clear: that company in Seattle seems to be growing. They also seem to be the ones innovating the most. They have a great sales experience. Obviously, things need to change. We must find ways to innovate and grow our market. Actionable, tangible ways. Maybe even take a page out of what has made others, like Amazon successful. 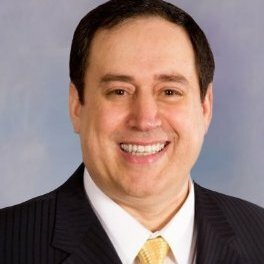 Sol Rosenberg is the CEO of 1World Content, Inc. and a principal consultant for DDC. He has been a presence in digital content seemingly since the days of the abacus.